No job is too large for this heavy-duty drill press. The Adjustable-Position Electromagnetic Drill Press with ¾” Motor features the 4203 adjustable-position, variable-speed base and the 4262-1 3/4-in drill motor with 3-Jaw chuck. 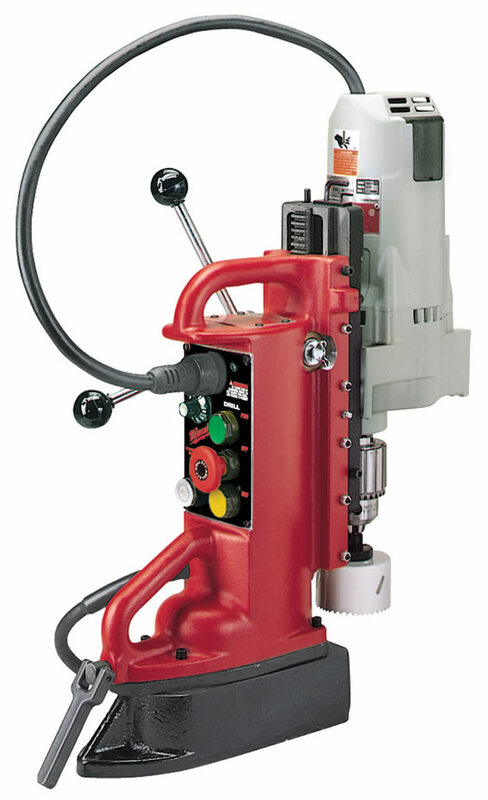 Built for production drilling, this 11.5-amp drill press can handle the toughest drilling jobs with up to a ¾” Twist Drill hole capacity, 4" hole capacity with Steel Hawg® Cutters and 1"-14 tapping capacity.